Built for Charles A. Broadwater and Shirley C. Ashby, Sr. 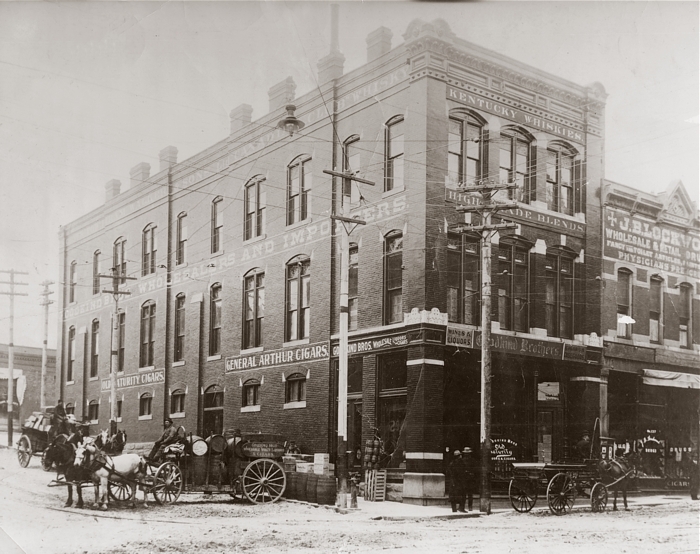 The 1884 Goodkind Building still stands on the southeast corner of Sixth and Main. 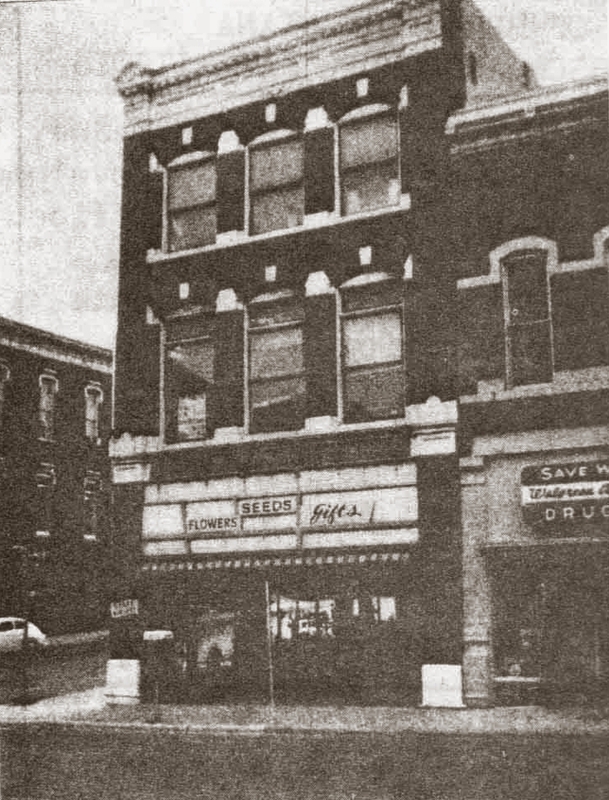 It was designed by St. Louis architect Francis Dickson Lee for Colonel Charles A. Broadwater and Shirley C. Ashby, Sr., and is the oldest standing commercial building north of Broadway. It cost $25,000 (in 1884 dollars) to build. 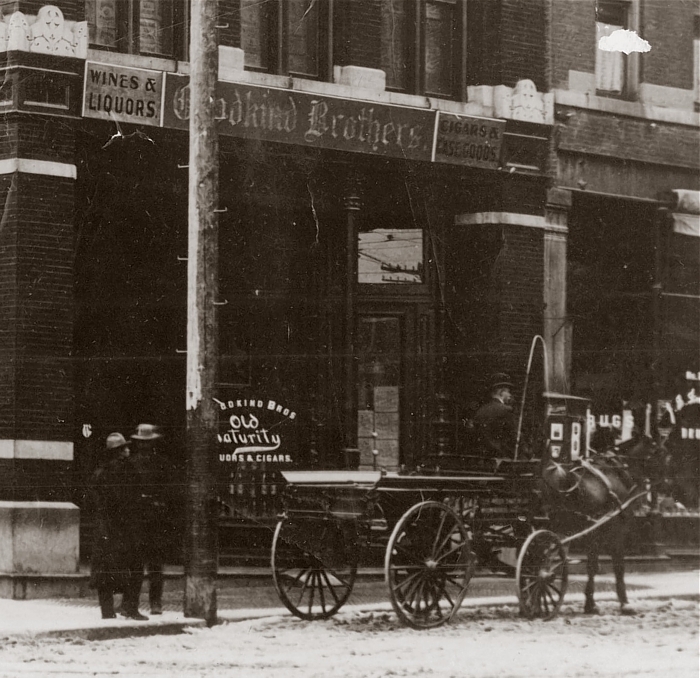 It was occupied for several decades by the Wise & Goodkind / Goodkind Brothers wholesale wine, liquor and cigar business, hence its name today. 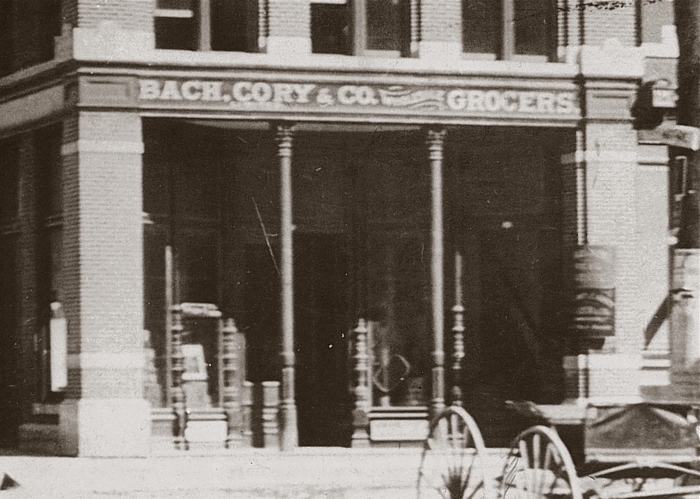 The wholesale grocery firm of Bach, Cory & Co. occupied the new building for about five years. 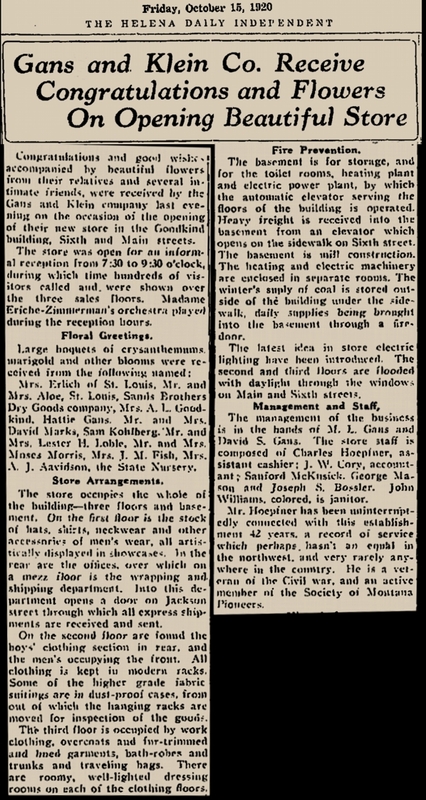 The early tenancy timeline is a bit unclear, but newspaper ads show Wise & Goodkind in the building in 1891. 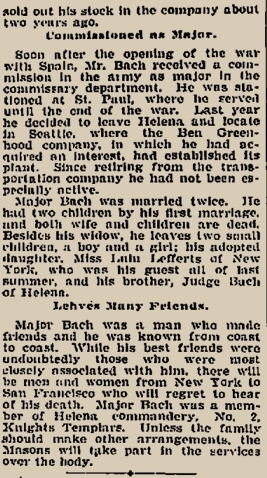 Bach, Cory & Co. were down the street at 314 North Main in 1896. 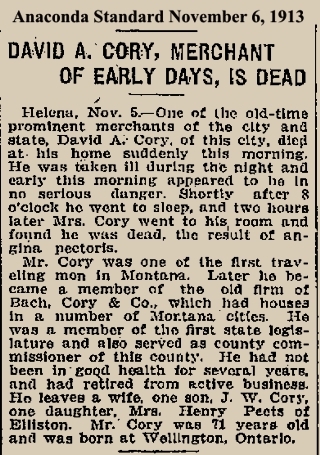 Both concerns may have occupied the building for a time. 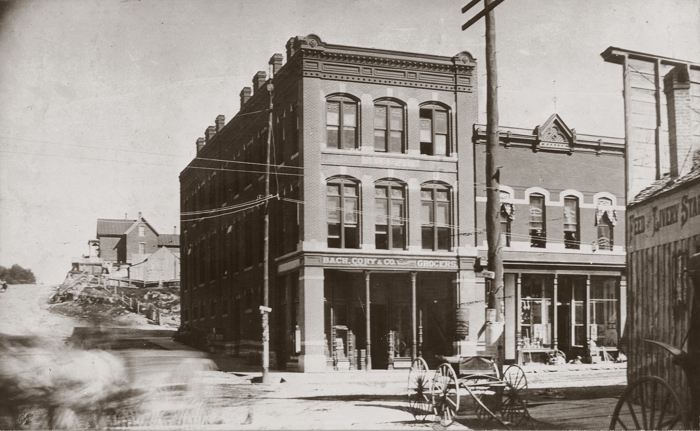 Brothers Abraham L. and Edward I. Goodkind, and Meyer and Charles Wise operated a wholesale wine, liquor, and cigar business [Wise & Goodkind} in Helena, Montana, from 1890 or 1891 until 1896 when the Wise brothers left the business. 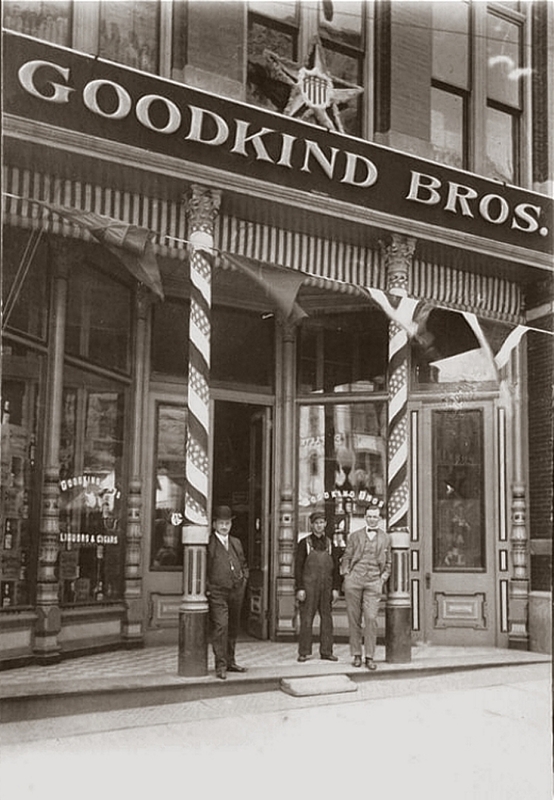 The Goodkind brothers continued their operation until Edward died on May 11, 1916. 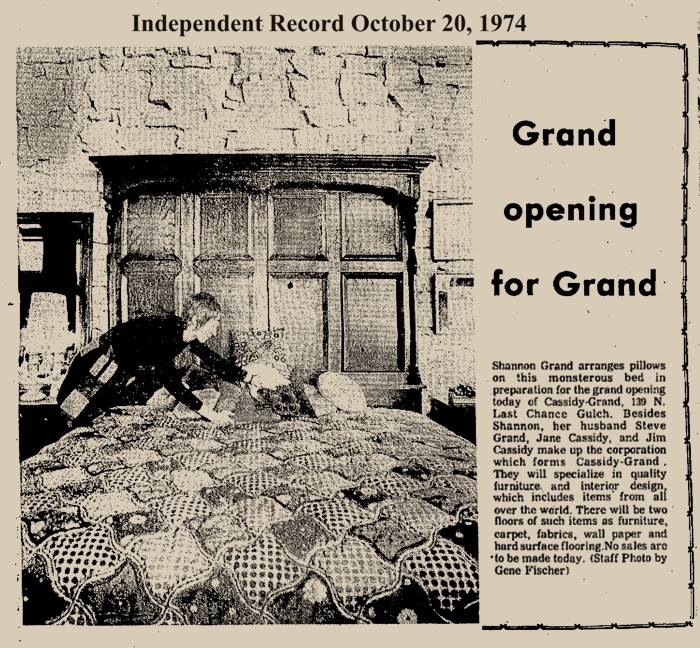 Abraham continued the operation with Edward's widow, Margaret L., until 1918. 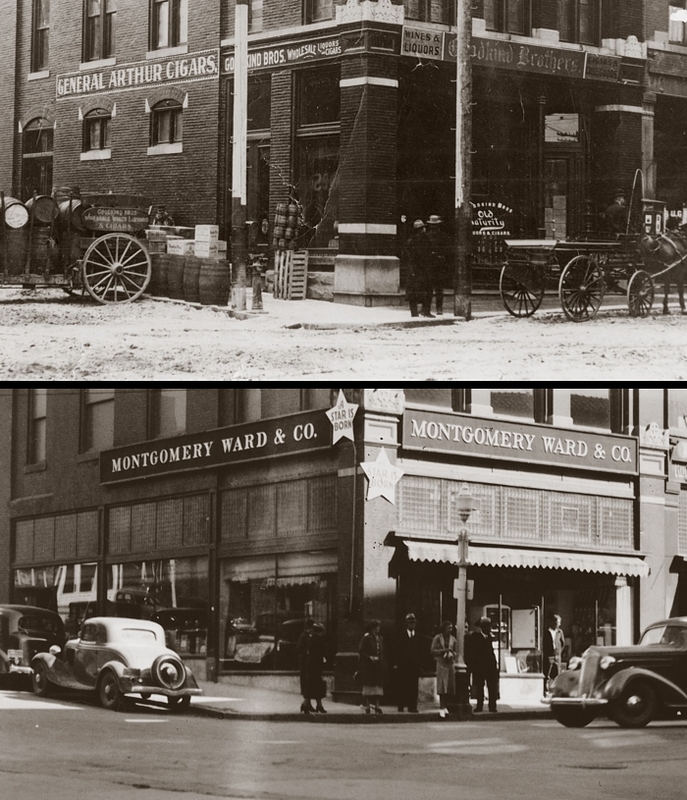 Abraham and Margaret then went into the loan business until 1922, when Margaret moved to Los Angeles. 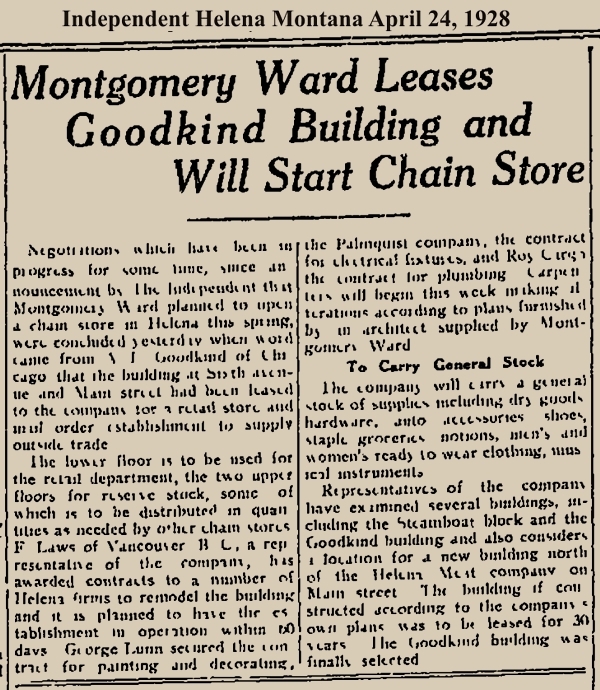 Subsequently, Arthur Ward joined Goodkind in the loans and securities business. 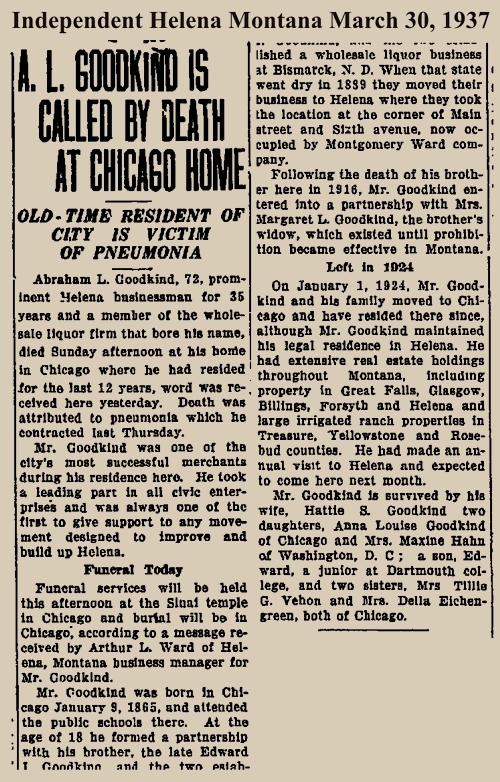 Goodkind moved to Chicago in the 1930s. His business changed to the rental of, primarily, commercial property. 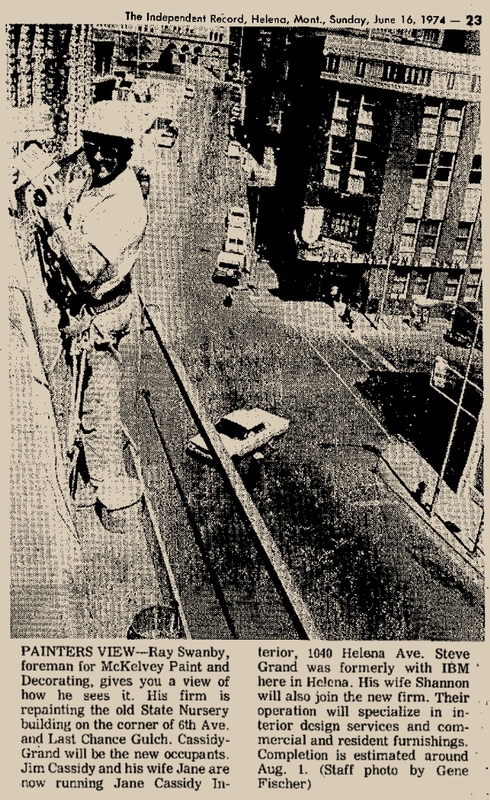 The company's name was Goodkind Estate for at least the years 1950 to 1953, and Goodkind Associates from 1954 to at least 1969. Arthur Ward acted as Goodkind's agent in Helena until 1958. 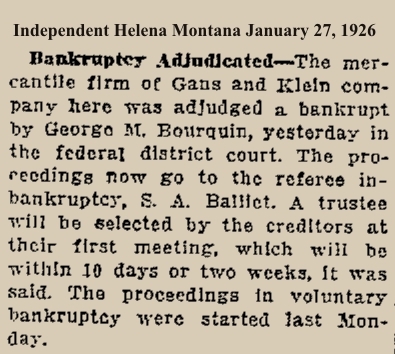 Goodkind Associates rented property in Helena, Billings, Butte, Forsyth, Helena, Miles City, and other towns in Montana. 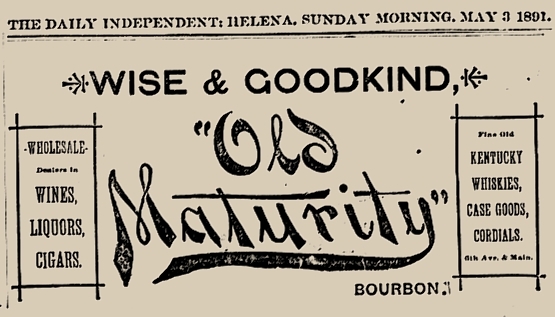 "Old Maturity" Bourbon (and presumably the cigars of the same name) was distributed by Hasterlik Bros., Chicago, Illinois. 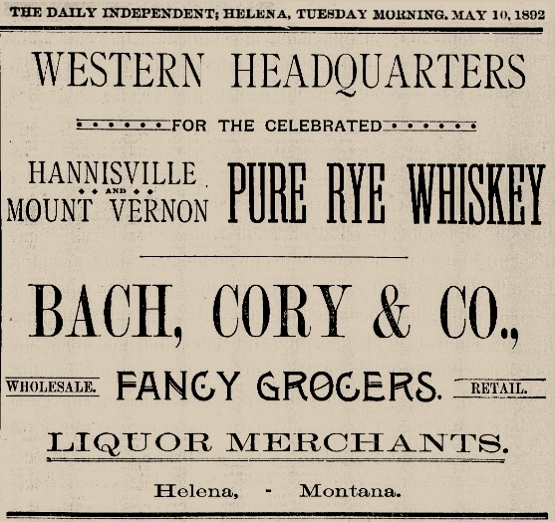 Goodkind Bros. did quite a bit of cooperative advertising in Helena with the brand. 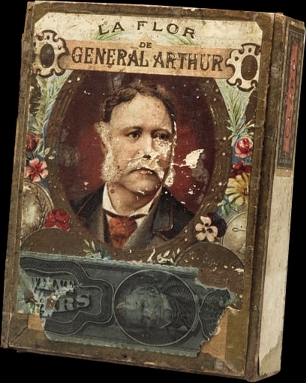 In the 19th century, cigar smoking was common, while cigarettes were still comparatively rare. 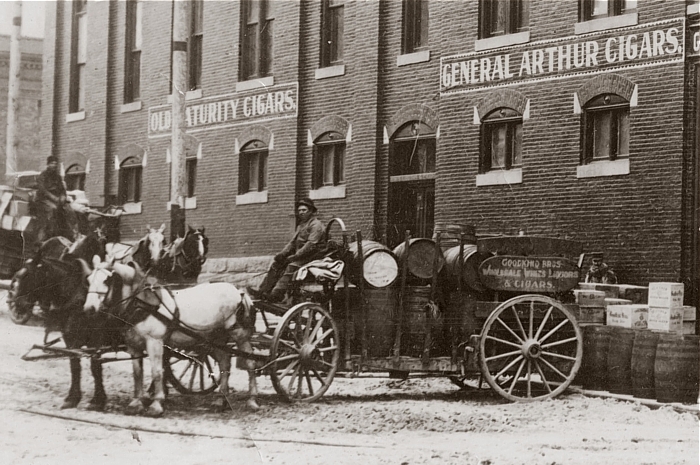 "General Arthur" Cigars, made in New York City, were heavily advertised across the nation, as seen painted on the side of the Goodkind Building in the photo above. 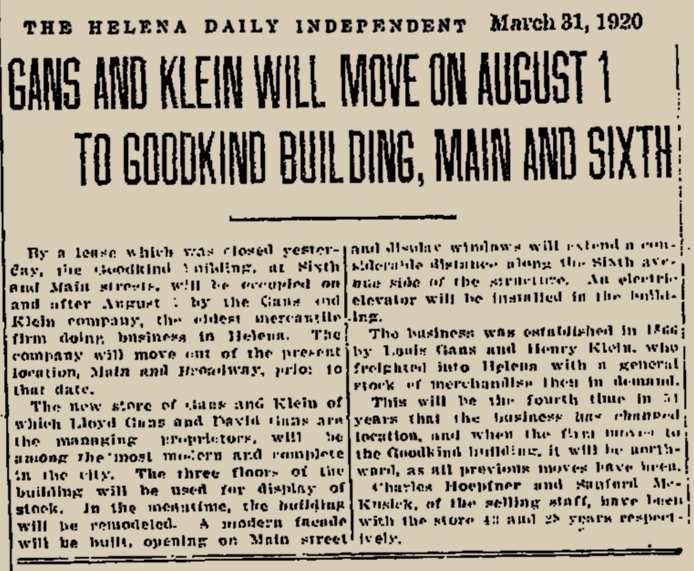 Helena has a wonderful "General Arthur" ghost sign still visible today on the east side of 106 Broadway. 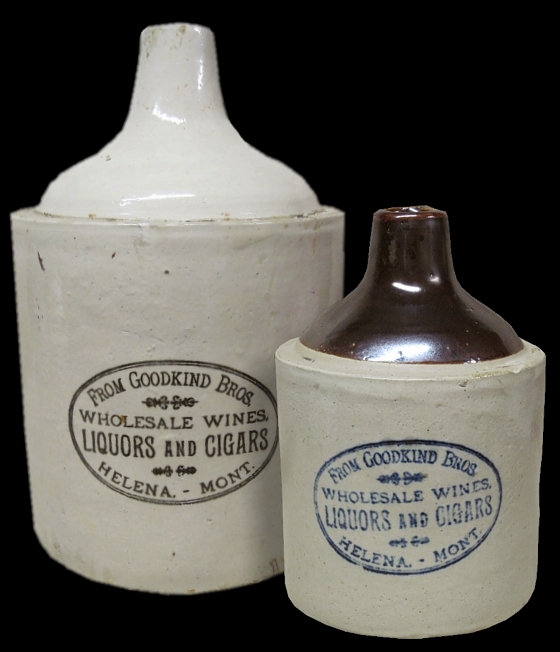 Metropole Whiskey was produced by the Theodore Gier Wine Company of Oakland, California. 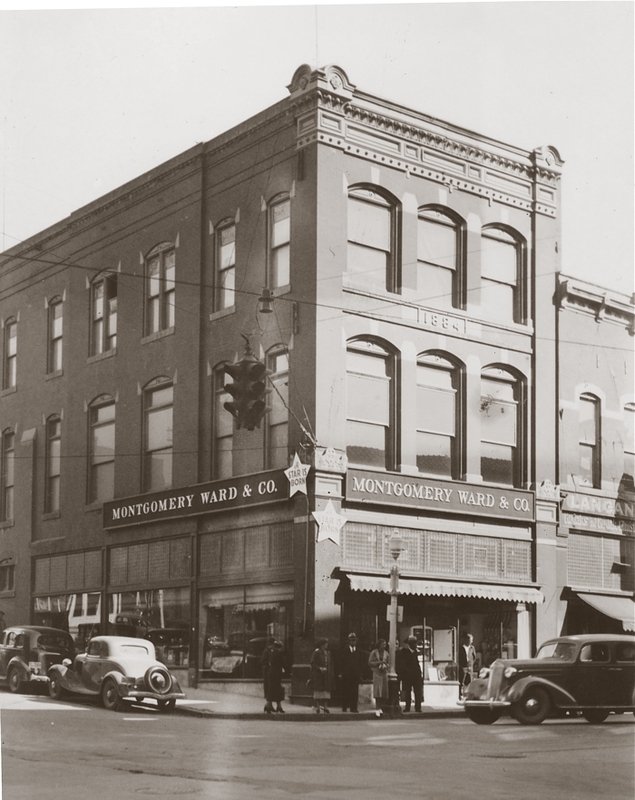 Montgomery Ward & Co. moved from the Goodkind Building in May of 1961, to 335 North Main, in the next block north. 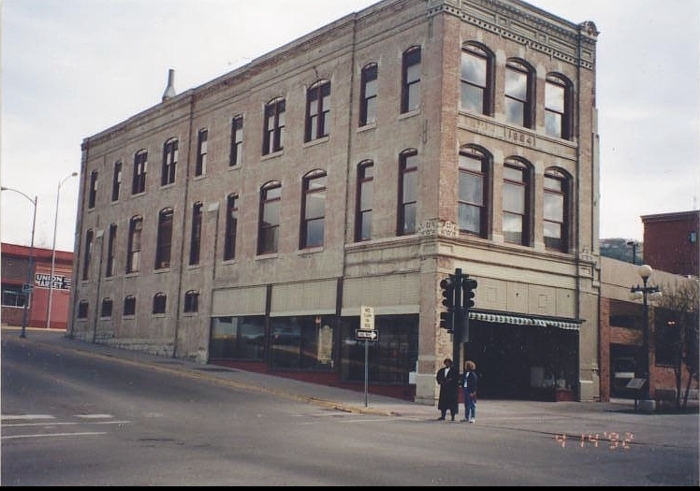 Cassidy-Grand, Inc. operated in the Goodkind Building until at least 1980. 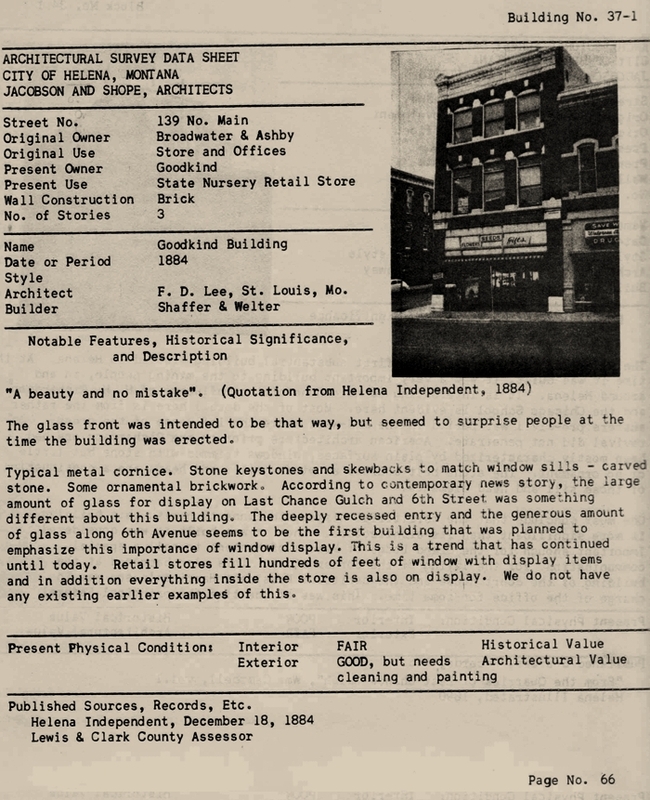 If anyone has more information/photos to share about the Goodkind Bros., Gans & Klein, Montgomery Ward, Cassidy-Grand or subsequent Goodkind tenants, please contact me.